That’s because the 49-year-old has told German radio that he wants to be retired by 60 – fairly young for a manager in this day and age. Thankfully though, Klopp’s suggested that Liverpool may in fact be his last club and we’d love that to be the case, because it’d been he’d have been successful enough to see out his six year contract and some! “There will come a day where I decide it has been enough. 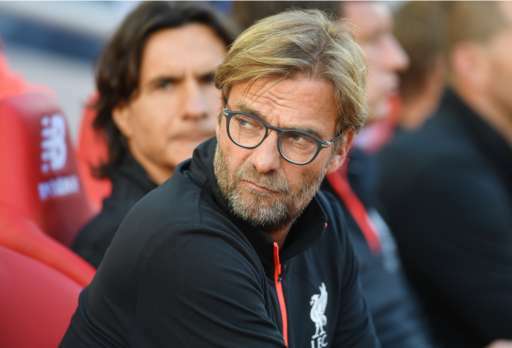 I would say it is very, very unlikely that I will still be coaching at the age of 60,” Klopp told RedaktionsNetzwerk Deutschland, via AOL. “I will definitely return to Germany to live there, but I do not know whether I will return to Germany as a coach. I have no plans to annoy someone who does not want me around with my presence at the end of my managerial career. Klopp led Liverpool to two finals last term, with a squad entirely inherited, but now has his own players and his own ideas ingrained. Our performances this term have been largely sensational and as promised, the manager has turned fans from doubters to believers. “I knew it would be hard to reject Liverpool if they came knocking. I have always liked Liverpool,” Klopp added. “This is just how I have always imagined football should be, extremely emotional. We’d love Liverpool to end our trophy drought this season, in whatever competition. We’re still in the EFL Cup, and without European football, will take the FA cup seriously. The Premier League would naturally be the icing on the cake, but it’s too early to start talking about that. It’s about taking each game as it comes, staying fit and positive – and seeing where we are around February.